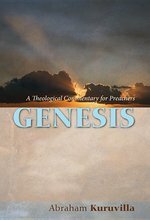 From Noah to Abraham, is the second in a series of comprehensive commentaries on the Book of Genesis that the late Professor Umberto Cassuto had planned as part of a magnum opus embracing the whole Pentateuch and also the Book of Psalms. The present work is rich in original insights and scholarly illuminations that make it an invaluable guide to the Bible student be he an erudite scholar or just a well-read lay enquirer irrespective of the opinions he holds with regard to the Higher Critical doctrines. About the Contributor(s): Abraham Kuruvilla is Associate Professor of Pastoral Ministries at Dallas Theological Seminary, and a dermatologist in private practice. He is the author of Text to Praxis: Hermeneutics and Homiletics in Dialogue (2009), Mark: A Theological Commentary for Preachers (2012), and Privilege the Text! A Theological Hermeneutic for Preaching (2013). He blogs regularly at www.homiletix.com. Join Chuck as he explores Dr. Luke's carefully researched and strikingly human account of the life of Jesus. 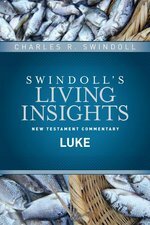 Luke describes the man, Jesus, and His ministry in vivid detail. He shows that Jesus is the perfect God-man, the all-powerful Creator who became human to save all of humanity, Jew and Gentile alike. 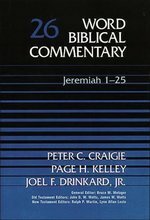 Each volume offers a set of distinctive features, including: the main idea of the passage, its literary context, the author's original translation and exegetical outline with Hebrew layout, its structure and literary form, an explanation of the text, and its canonical and practical significance. The diagram of each passage enables readers to grasp quickly and accurately the main idea of the text, its development, and supporting ideas; and allows them to understand how the commentator arrived at this depiction and interpretation of the passage. The commentary places a special emphasis on identifying and discussing the main thrust of each passage and showing how it contributes to the development of the whole composition. Readers will find help in drawing out the meaning of the Hebrew for interpretation. While primarily designed for those with a basic knowledge of biblical Hebrew, all who strive to understand the Old Testament and better convey its meaning will find these books beneficial. Each unit concludes with a discussion of the canonical and practical significance of the passage, synthesizing its theology and message for readers today. There are many exegetical commentaries, but none accomplish what this series has achieved. Reconstructing the formative years of the people of Israel is one of the most challenging tasks in Old Testament research. In this regard, the Book of Joshua has been a major focus of scholars for more than a generation. Now Trent C. Butler has addressed the whole range of issues emerging from Joshua, from its earliest narratives, oral and written, to its textual history, both before and after its reception into the canon. Dr. Butler combines his use of the tools of textual and literary analysis to provide a new perspective from which to appreciate the value of the Book of Joshua. From this new perspective, both the scholar and the minister receive valuable insights: The oral stages of the traditions, as Dr. Butler assesses them, "center on certain life and death questions for God's people as they seek to settle in the land and establish their grip on its territory." Then came the transformation into materials for worship, which "illustrate the mighty acts of God in continuing the work he began at the Exodus"-and which focus on priestly activity rather than on the role of the military conqueror. At the literary stage, the Compiler ties the materials together into a continuous narrative "that emphasizes the importance of a committed leader and a responsible people." In its final, canonical form, the text of Joshua "is a program for a life beyond the Jordan for a people who have lost the land and seek new hope . . . the exiles in Babylon." The concept of judgment is at odds with today's culture, which considers it a sin to suggest there is such a thing as sin. Perhaps that is partly because we have seen all too clearly the fallibility of those who judge. What many of us long for is not judgment but righteousness and deliverance from oppression. That is why the books of Judges and Ruth are so relevant today: Judges, because it reveals a God who employs very human deliverers but refuses to gloss over their sins and the consequences of those sins; and Ruth, because it demonstrates the far-reaching impact of a righteous character.Exploring the links between the Bible and our own times, Dr. K. Lawson Younger Jr. shares literary perspectives on the books of Judges and Ruth that reveal ageless truths for our twenty-first-century lives.Most Bible commentaries take us on a one-way trip from our world to the world of the Bible. But they leave us there, assuming that we can somehow make the return journey on our own. They focus on the original meaning of the passage but don't discuss its contemporary application. 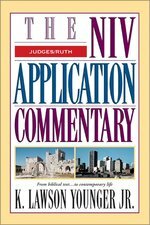 The information they offer is valuable--but the job is only half done!The NIV Application Commentary Series helps bring both halves of the interpretive task together. This unique, award-winning series shows readers how to bring an ancient message into our postmodern context. It explains not only what the Bible meant but also how it speaks powerfully today.